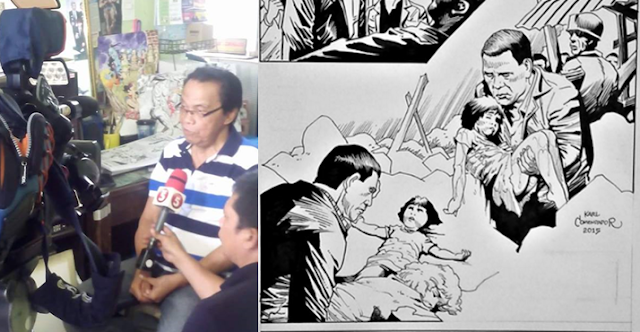 MANILA, Philippines- Karl Comendador, the artist who illustrated the controversial comic book for Mar Roxas titled “Sa Gitna ng Unos,” created a comic book for his presidential bet Davao City Mayor Rodrigo Duterte. 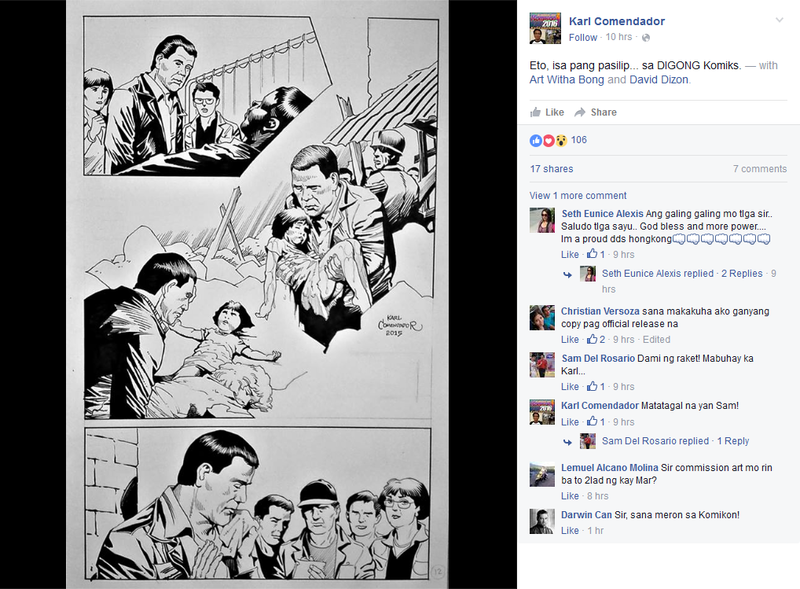 Although the veteran illustrator is pro-Duterte, he earlier admitted he was commissioned to create the Roxas comic book, which earned the ire of netizens after the former DILG chief was portrayed as a hero in the aftermath of Supertyphoon Yolanda despite alleged slow response and rehabilitation from the government. Comendador emphasized that he only did his job when he created the comic book yet his loyalty and support for Duterte is unwavering. On Thursday, April 14, Comendador revealed a sneak peek of the Duterte comic book titled: “Digong: Ang Kanlungan ng mga Inaapi at Inaabuso.” Jim Estrabela and KC Cordero of Atlas Komiks wrote the story highlighting the tough talking mayor’s efforts to help fellow Filipinos. In the comic book preview, Duterte can be seen helping a cancer-striken boy whose legs were amputated. Although the boy has stage 4 cancer, had undergone numerous operations and has no chance of surviving, he asked for Duterte’s help in order for him to have legs. Duterte helps a cancer patient whose legs were amputated. “Huwag kang mag-alala Argee, magkakaroon ka ng mga paa. 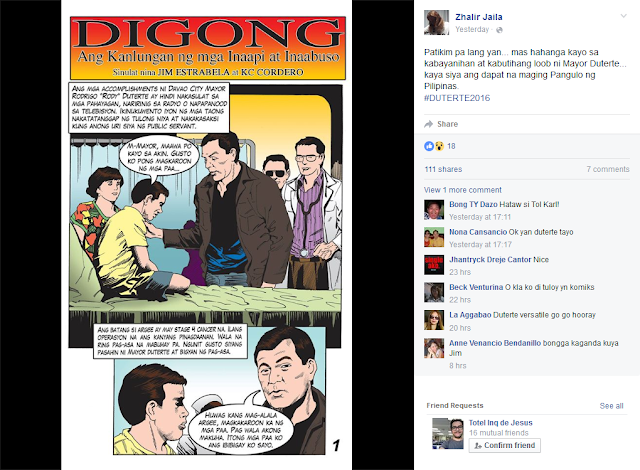 Pag wala akong makuha itong mga paa ko ang ibibigay ko sa iyo,” Duterte said in the story.